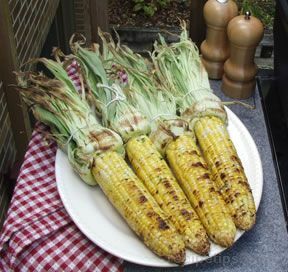 The smokey flavor of the paprika goes well with the grilled corn. Blend butter, paprika, garlic, sugar and salt in a food processor until smooth. 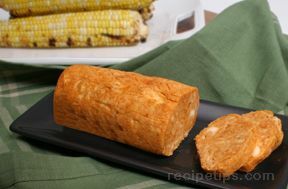 Form the mixture into a log shape and wrap in plastic wrap. Refrigerate until very cold. Can be made a day ahead. Boil corn in a large pot of salted water for approximately 5 minutes. Place corn on the grill, turning occasionally, for approximately 5 minutes. Serve with slices of paprika butter.